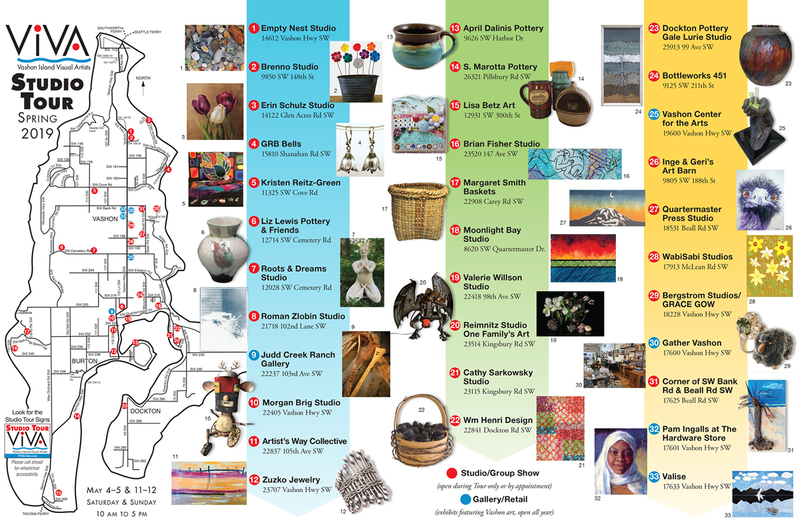 Click on a Studio name in the list below for more artist information, art samples, and Google Map link. Sheree – Handmade gemstone & beach glass jewelry. David – Metal yard art. 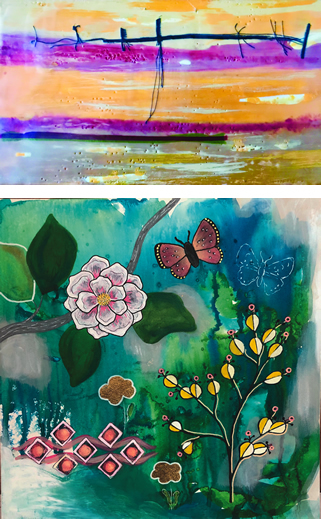 Charlene – Beach inspired water colors. Art for the home and garden, made from recycled materials. Blown glass art and ceramics. Spring Special, blow your own glass flower. Oil paintings in the classical realist style – a variety of sizes and subjects. experimental work in new mediums including copper, jewelry, mosaic, fiber and much more. Rich and textural hand built porcelain by Marla Smith. Vivid sgraffito patterns on terracotta pots by Karen Fevold. Liz’s bright, familiar dishes, bakers and planters. Raku too! Artwork by Renee Marceau and Estavan Roaché explores the hidden threads of Life through assemblages, handcrafted pouches, ceramic sculpture, tiles and ceramic ware. Limited handmade fine art photography prints produced with alternative processes. Fine art photographs printed digitally. Playful and unique ceramic, metal, wood and found object figures and animals. Free standing and wall hung. Delicately crafted sterling silver jewelry with emphasis on movement, natural gemstones and everyday wearability. Custom designs available. Light and bright functional pottery with nature inspired, watercolor-like glazes. Kitchenware and table lamps with wooden elements. Unique pottery to enjoy every day! Bowls, salt pigs, sponge holders, hanging planters, mugs and cups. Vashon Island coffee mugs. Mosaic wall art created with vintage china and handmade ceramics. Boho jewelry, made of leather, mixed metal and handmade beads. Brian Fisher explores myths and stories about transformation. Fine art prints, art cards and colorful steel art for your home and garden. 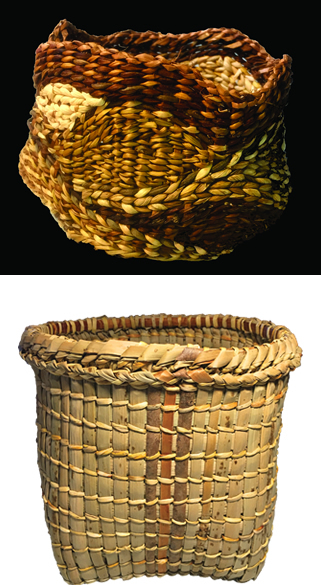 Baskets and sculptures created using locally gathered grasses, barks, limbs, roots, leaves and vines. New name, same location. Penny Grist: watercolors, mosaics. Larry Muir: silver and gemstone jewelry. Steve Silva: wooden candle lanterns with recycled wine bottles. New collographs, photographs, colorful oil paintings. Super bargains on older work. Vibrant watercolors, colorful monotype prints and original art cards by Ilse. Oil paintings by Hartmut. Steel sculptures of North-west wildlife by Gunter. Cathy Sarkowsky’s masterful use of color and materials is evident in her vivid, gorgeous paintings and prints. Leather sculptures and fashion accessories. Clutches, bags, belts, and bracelets. Pottery Gale Lurie, paintings Gretchen Hancock, stained glass Gail Hapeman, jewelry Christie Penning, weavings Patricia Wronsky. Ocean and forest themed art using found, salvaged and recycled materials such as electronics, wire, wood, bike parts and more. Vashon High School Biennial Art Show in the Fong-Wheeler Atrium. Cyra J. Hobson, Lynette Charters and Heather Goodwin in the Koch Gallery. QMP artists create fabulous and affordable hand-pulled prints and cards made with lots of color, creativity and love. Bring Spring to your home and garden. Jean Echevarria’s multi-colored woodcut prints. Alex Echevarria’s carved Jizo and Asian-inspired images. Sheep PAL sheepskin foot stools + pet pottery. GRACE GOW Gold and silver jewelry, cast from barnacles. Vashon Island and PNW posters + cards. 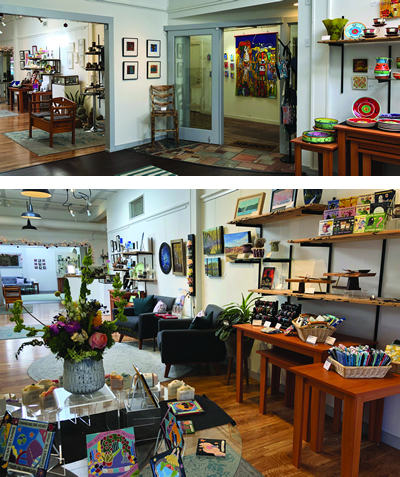 The heart of art on Vashon Island. Carefully curated works of art by your favorite and soon-to-be favorite Island artists. Marc Pease – Encaustic painting. Carole Meriam – Oil on canvas paintings. 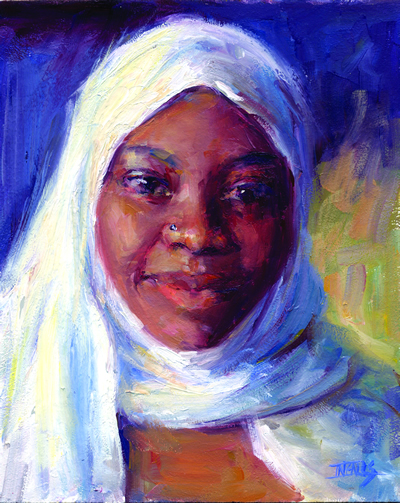 “Facing the New Us.” Oil portraits of refugees and immigrants. 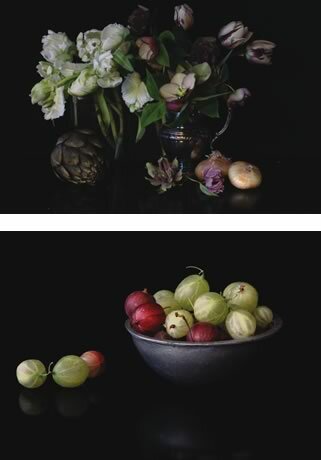 Prints and cards of still lifes, interiors and landscapes. An island artist collective that is a local gem. We encourage experimentation and push the edges of fine art.